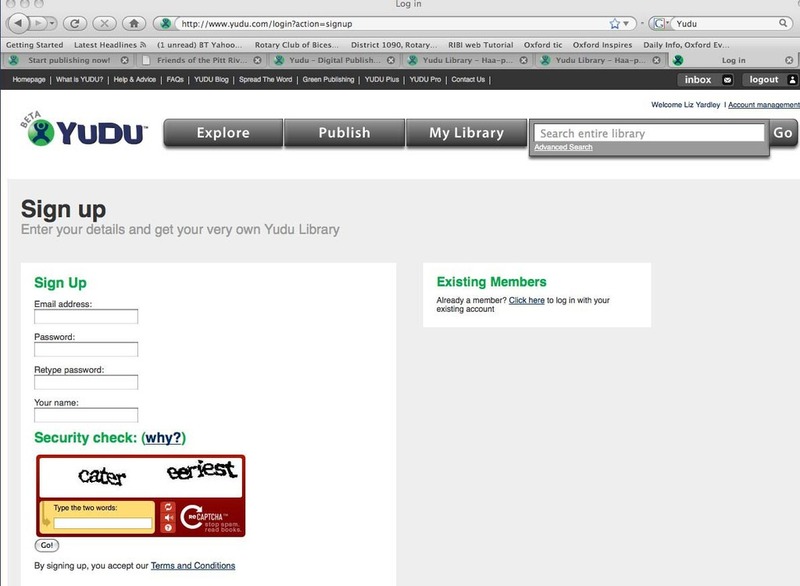 YUDU is a very user-friendly site, with easy to follow instructions. The basic level is absolutely FREE! Acceptable formats are PDF, Word, Excel, PowerPoint. Prepare your publication in the normal manner, with single pages in the correct order. Set your printing preferences - page size & orientation (landscape or portrait) before saving. Best results for PDFs are obtained by saving at a minimum resolution of 200dpi. Publish! This will take a few moments to process, depending on the size of your publication. You will receive a confirmation email once the process is complete. 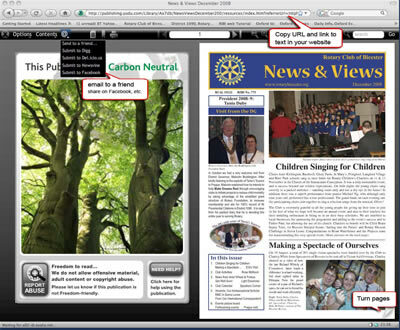 The screen will change and you can add relevant details to the publication's profile, or publish another document. 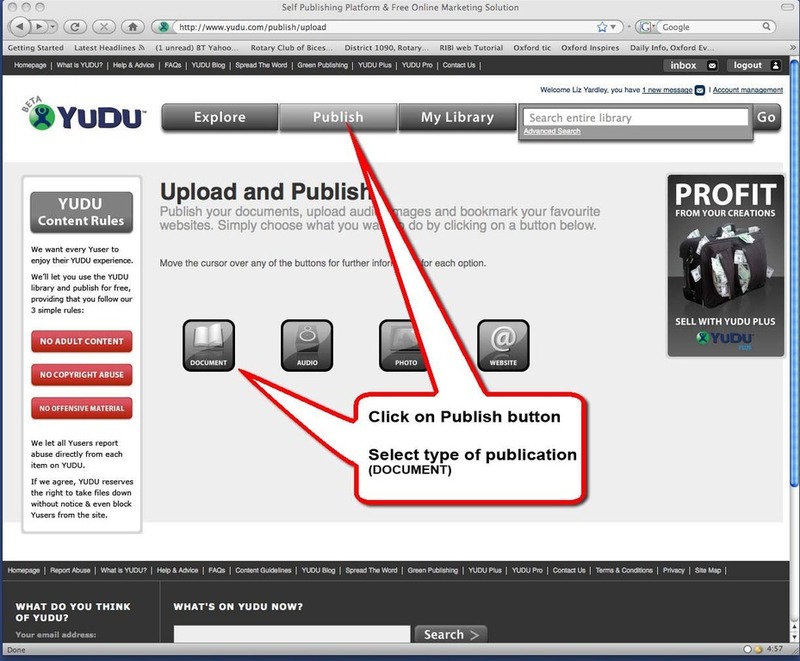 Notes: Once uploaded, your publication cannot be edited from the YUDU site. If you have made an error, it will have to be altered from your original file. 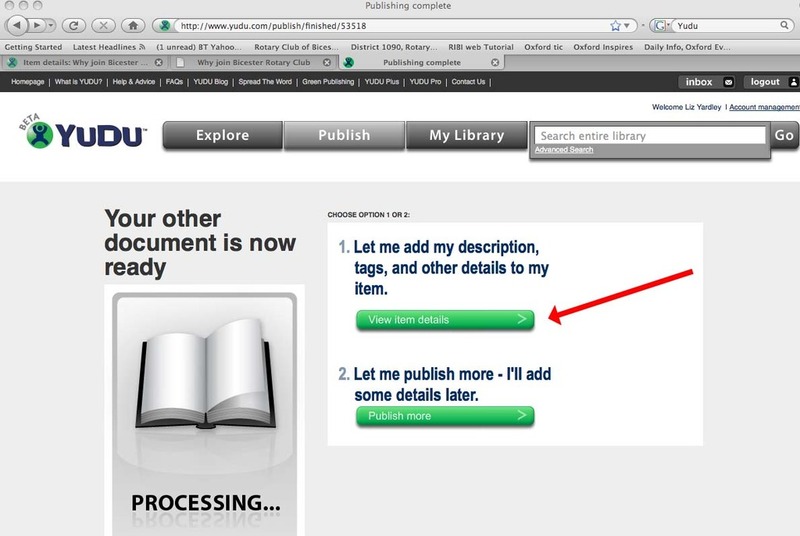 Delete the YUDU file and start the Publish process again with the corrected version. Web-links included in your publication are live in YUDU useful for the reader and also useful for you as it raises your profile with search engines. 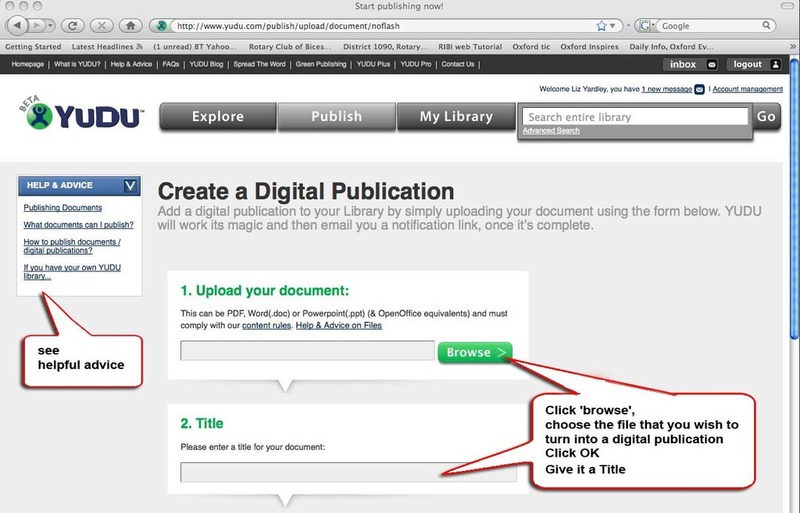 You can share your publication by copying the URL onto your website, or into an email. MAC USERS - Use iLife, iPhoto (installed on all MACS) and iWork - these allow you to create albums, brochures, newsletters etc and convert them into a PDF that can be uploaded to YUDU.